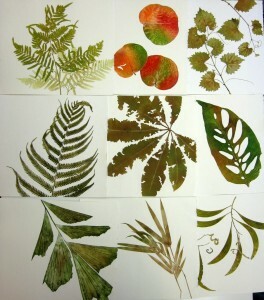 This workshop is a single day in which students are introduced to the elements of nature printing with locally found plants, leaves, and flowers. 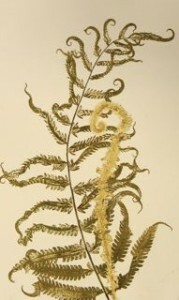 The results are similar to the botanical prints of the 1800’s. 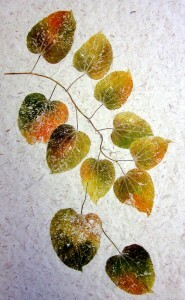 We use the pressure of an etching press and oil based ink with dried plant material to create realistic and lifelike botanical images on a variety of watercolor and asian rice papers. 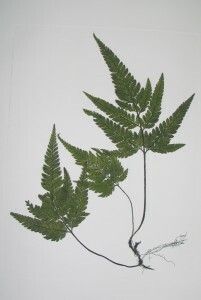 Each resulting print is an exact duplicate of the leaf or plant, with artistic interpretations. 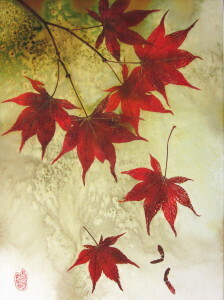 You will learn how to adjust the viscosity of the ink in order to create layers on color on the leaf or plant print. The use of color layers allow us to derive more than one print from each inking, and the results can be stunning. We use a common palette that provides each of the colors needed to replicate those of nature. The goal is realistic and accurate representation of a plant. 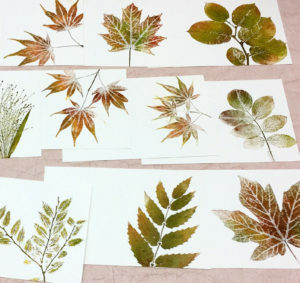 Expect to have 6-10 “beautiful botanicals” suitable for framing at the end of the class. All materials are provided. Students are asked to bring lunch and a beverage.